Ben Thomas is about to celebrate his eighteenth birthday with his friends at his grandfather's lakeside estate. His best friend, Jack Foster, has invited Megan Dills, a relatively new student at Franklin High, to the birthday party and surprises Ben by telling him just before the party begins. Little does Ben know that the adventure of a lifetime is about to begin. After the party ends, Ben and Megan are thrown into a dilemma together through no fault of their own. The party is a success, but Megan receives a phone call afterward, and Ben notices that she is upset. When he asks her what's wrong, she tells him that her father, an investigative reporter, had an accident and needs her help right away. After Ben drives Megan to FRU's lab, they are stopped by armed guards and taken inside as prisoners. There, they discover that Megan's father is dead and that they will be sent to Gildor, a secret underground facility to keep them silent. Once they are in Gildor, the two teens find that every day brings a new fight for survival. 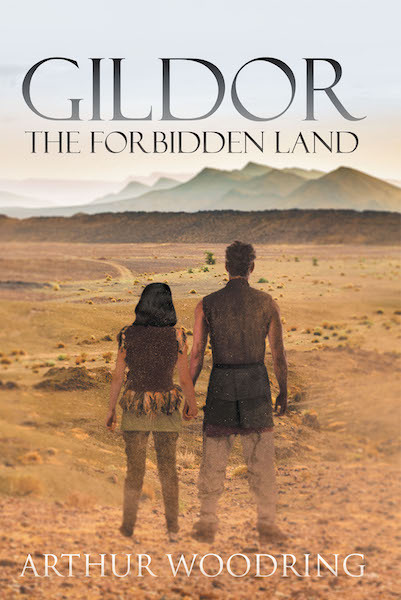 Gildor is a dangerous primitive world full of strange humanoid and beastly genetic inhabitants, outcasts never before known to man.